In recent years, a growing concern for elder abuse has surfaced. Too many elderly men and women are routinely ill-treated each year. Despite the growing concern, there has been a lack of prevention. Elder abuse continues to be underestimated and ignored by societies around the world. What is Elder Abuse, Exactly? This type of violence can take in any various forms such as physical, sexual, financial, psychological or emotional abuse. It can also be the result of intentional or unintentional neglect. This abuse is a problem that exists everywhere, in both developing and developed countries. The extent upon which elder mistreatment occurs is frightening. This may be due to the fact that in elder abuse cases, then someone takes advantage of the senior’s abilities or health. Many cases aren’t reported. The social and moral implications are alarming. It is a worldwide issue that grabbed the international attention of the World Health Organization in 2002. Abuse is reported by 4-6% of seniors. Elder abuse, even instances of elderly neglect, can result in serious physical injuries as well as long-term psychological consequences. Elder abuse cases are projected to soar since many countries are experiencing rapid aging (or age booms). It is predicted that the global population of people age 60 and older will more than double, growing from 542 million in 1995 to nearly 1.2 billion in 2025. Physical infliction on the elder causes pain and injury. This includes hitting, punching, slapping, bruising, restraining by physical or chemical means, or giving excessive or improper medication. Our loved ones deserve better. Illegal taking, misuse, or concealment of funds or assets of seniors for another person’s benefit is part of financial offenses. This can be perpetrated through methods of deception, coercion, undue influence, misrepresentation, and theft. Financial exploitation can occur when a power of attorney is fraudulently obtained or used. Other forms of financial abuse include depriving a senior of money or property, or by evicting a senior from his or her own home. This is inflicting mental pain or distress on an elderly person. This may be either in verbal or non-verbal forms. This refers to the failure of those responsible to provide the basic needs of the elders such as food, shelter, health care, emotional or social needs and protection from harm. The deprivation or failure may be intentional or may possibly happen out of lack of knowledge or resources. This occurs in the event of deserting a vulnerable elder by a caregiver or anyone who is responsible for the care and custody of that person. The intent to abandon or leave an elderly person unattended for a certain period of time may endanger their health or life. This occurs when the physical or psychological harm or violation of rights are conducted in an institutional setting. The setting could be a senior care home or another location where care and assistance are provided to dependent seniors. Nursing home negligence is a large part of this kind of abuse. Physical abuse may be detected through visible signs on the body such as bruises, pressure marks, scars, sprains or broken bones. Sudden changes in a financial situation may be a result of exploitation. It includes significant withdrawals from the bank accounts, belongings, or even money missing from home. Other indications include unpaid bills and unnecessary goods and services. Emotional withdrawal from normal activities – the elder may no longer be as alert as they once were. Unusual depression can be noted alongside the sudden change of personality and behavior. Malnutrition, dehydration, poor hygiene and sudden weight loss are possible signs of negligence. 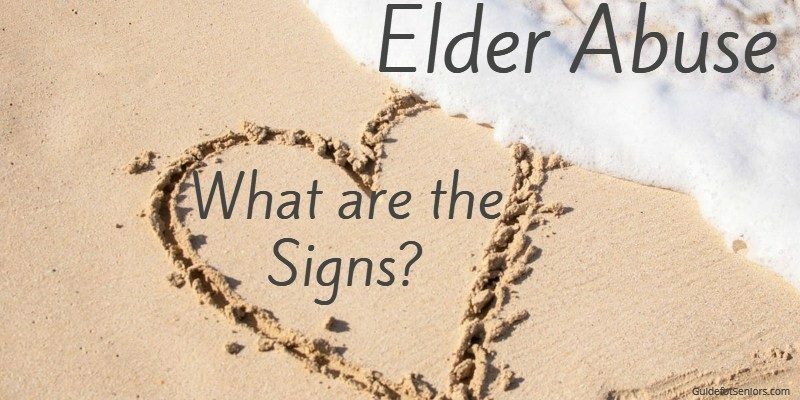 It can either elder self neglect or may be inflicted by anyone responsible for them. The signs of suffering may be difficult to detect. Therefore, it is best to BE ALERT if you suspect any changes in the senior’s personality and behavior. Situations relating to these must be taken seriously and dealt with immediately to prevent further abuse. Anyone can be a perpetrator for elder abuse. It could be a family member, neighbor, friend, or simply anyone who is in a position of trust, control, and authority. Some perpetrators may try to befriend or build a relationship with an elder with the motive to abuse them. The International Network for Prevention of Elder Abuse (INPEA) designated June 15 as World Elder Abuse Awareness Day (WEAAD). Through the campaign, a number of events are held across the globe to raise awareness and in so doing, highlight ways to challenge such abuse. There are multiple sectors that can help reduce elder abuse. The social welfare system which can provide legal, financial and housing support. The education sector which actively fosters public education and awareness campaigns. In some countries, health sectors have taken the lead role in raising public awareness of elder abuse. The detection and treatment of victims by primary health care workers proves that this is an important initiative. Moreover, the World Health Organization (WHO) is collaborating with specific partners to prevent elder abuse through initiatives that can help identify, quantify and respond to the problem. If there is an immediate danger, seek help from your local police or call 911. If danger is not immediate and you suspect an ongoing abuse or past occurrence of abuse, call the Adult Protective Services (APS) agency in the state where the elder resides. This agency provides services for the safety and well being of elders who may be in danger of mistreatment or neglect. Visit Adult Protective Services to learn more about the organization. Another resource is the Eldercare Locator website. One can also seek help from a fiduciary, a person who holds the authority to act solely on behalf of the abused elder person (provided that it is in good faith). Examples are executors, guardians, trustees, officers of corporations, and agents under powers of attorney. Due to the alarming effects of elder abuse affecting the senior population, awareness of elder abuse has been significantly raised. Seniors, although they may be regarded as weak or vulnerable in our society, should still be given the respect and care that they deserve. Read Guide For Seniors for more information important to seniors.